A study at VCU found therapy dogs can lower student stress at exam time. Researchers at the VCU Center for Human-Animal Interaction studied therapy dogs and students studying for exams. 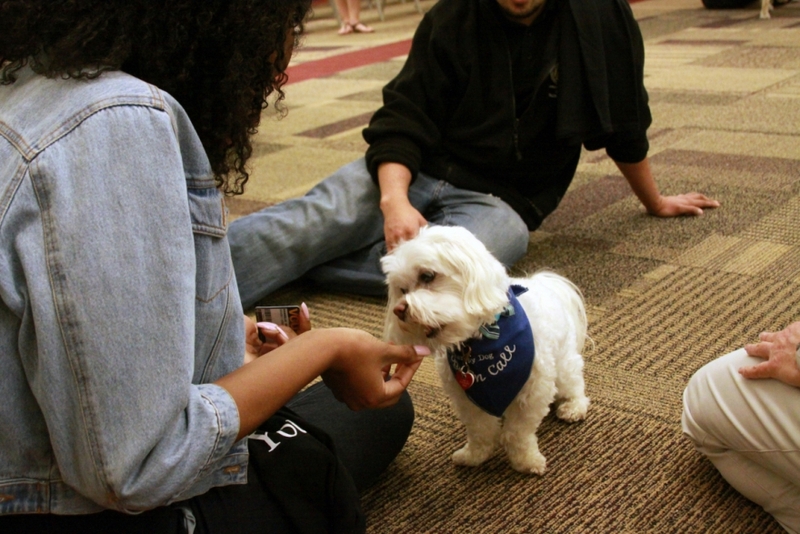 Now Paws for Stress eases exam tensions. This study included 78 students and 10 therapy dogs. Dr. Sandra Barker, director of the center, is a professor of psychiatry. It is mid term exam time at VCU and earlier today (3/15) there was a Paws for Stress event at the student commons.